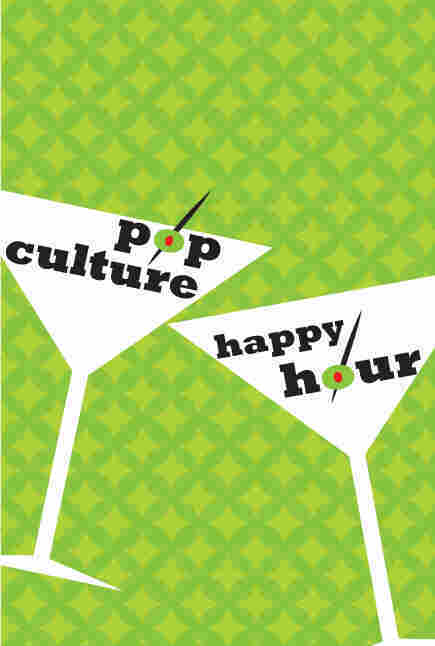 Pop Culture Happy Hour: The Oscars Omnibus Of 2014 On this week's show, we invite Bob Mondello to join the table for a discussion of all nine Best Picture nominees and some other stuff, too. And we talk about what's making us happy this week. Sunday night, the Oscars will come around once again, and we'll be watching. But before we do, we got together with All Things Considered film critic, silly video partner, emoticon learner and all-around great pal Bob Mondello to talk about all nine of the Best Picture nominees: American Hustle, Dallas Buyers Club, Nebraska, Philomena, Her, Wolf Of Wall Street, 12 Years A Slave, Gravity, and Captain Phillips. We've got a little of everything in this discussion — we cover the Best Picture race that seems to have come down to technical mastery versus emotional impact, we talk about comb-overs, we talk about Judi Dench, we talk about the makeup in Dallas Buyers Club, and we try to figure out what Glen has against high-waisted pants. And yes, in the end, we all choose our very own Best Picture picks. In terms of our happiness this week, Stephen has found a new very silly television show to enjoy with his children. Bob has found a new very old book in a new (to him) place, and he will tell you all about it, no question. Glen is happy about several things, including a smart take on a much-praised television show. I am happy about a hilarious headline in response to a less hilarious unburdening of oneself, as well as about a very good audiobook. You can find us on Facebook or follow us on Twitter: Stephen, Glen, Trey, me, producer Jessica, also-producers Lauren and Nick, and our lifelong pal and music director Mike Katzif. And most importantly of all, the recently arrived on Twitter Bob Mondello, who promises to learn all the emoticons.